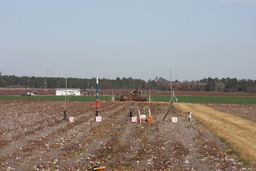 A two-day, high power launch at the GRITS field in Tifton! Pack some leftover turkey sandwiches and come on down for a weekend of rocket flying! 18k waiver! I look on their website and I don't see this date confirmed yet - Do you know this is absolutely the date? Anyone going? Clayton & I will be there! Trying to make it. Tough just after Thanksgiving.